Justus Freiherr von Liebig was a German chemist, who conducted crucial research in the areas of organic and inorganic chemistry, agricultural chemistry, physiology, and biochemistry. His contribution is widespread and his influence can be clearly seen today. 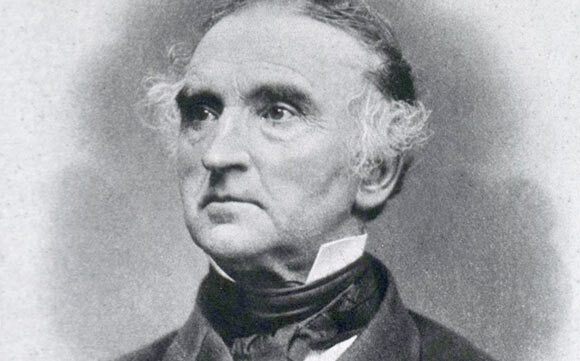 Liebig was born in Darmstadt, Germany, on May 12, 1803. He belonged to a middle class family; his father was a pharmaceutical merchant and as a child, Liebig developed a keen interest in chemistry and conducted experiments freely in his father’s shop. In 1816, when Liebig was 13 years old, the world experienced a “year without summer” where global temperatures dropped considerably, particularly in the northern hemisphere. Germany was one of the most affected countries during the famine that ensued, and this experience is said to have shaped Liebig’s future interests to some extent. As a young boy, Liebig first became an apprentice to an apothecary Gottfried Pirsch, and then attended the University of Bonn, studying under the influence of his father’s friend Karl Wilhelm Gottlob Kastner. Liebig followed Kastner to the University of Erlangen, where he obtained his doctorate. In 1822, Liebig left the university due to a scandal regarding his involvement in a nationalist student organization. He then went to Paris on a grant that Kastner helped to obtain for him. In Paris he worked with the renowned French chemist and physicist, Joseph Louis Gay-Lussac and also made influential friends such as the geographers Alexander von Humboldt and Georges Cuvier. Upon his return to Darmstadt, Liebig married Henriette Moldenhauer, who was the daughter of a state official. In 1824, at the age of 21, Liebig was made a professor at the University of Giessen, based on the recommendation given by Kastner. Liebig established the world’s first renowned school of chemistry at Giessen. Liebig’s major contributions to chemistry include the discovery that plants need nitrogen and carbon dioxide from the air, as well as minerals found in soil. The development of a nitrogen based fertilizer was a tremendous contribution to agriculture. Using these fertilizers, nutrients were fed to plant roots in the form of ammonia. Liebig was the first to recognize that chemical based fertilizers could be just as effective as natural fertilizers (that is, dung). Liebig supported the “Law of Minimum” initially propagated by Carl Sprengel, which stated that plant growth is limited by the one nutrient that is in the shortest supply. His work in the fields of plant and animal physiology is also very influential. Liebig was one of the first scientists to organize a laboratory as it is done today. His students hailed not only from Germany, but also from the United States and UK. A vapor condensation device that Liebig used in his experiments has been named the “Liebig Condenser” in his honor, although it was in use before Liebig’s time. He collaborated with a Belgian engineer named George Giebert to establish the “Liebig Extract of Meat Company” where they used beef to make beef extract, which served as a healthy and low cost alternative to real beef for soldiers, travelers and even in daily use in the kitchen. The product was popular, with annual production of 500 tonnes. In 1852, the King of Bavaria invited him to the University of Munich. Liebig accepted and remained there till the end of his life. Justus von Liebig founded a chemistry journal in German and was made a member of the Royal Swedish Academy of Sciences in 1837. He was given the title of baron and was buried in Munich upon his death in 1873.